Two things ache this morning. My head after one too many beers last night while watching the football and my legs after two trips over the Humber Bridge. The former soon abates, the later stays with me all day. 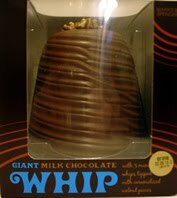 In the evening L is in Derby presenting her Dad with a giant walnut whip for Father's Day. While I’m in the same sort of area for dog training. As I arrive ten minutes late, the only two people to turn up are leaving, thinking it was cancelled. I persuade them to stay but with only three of us, it's an intense but exhausting session for all, including Doggo who gets a few runs during the ever increasing breaks MD has to take to get his breath back.